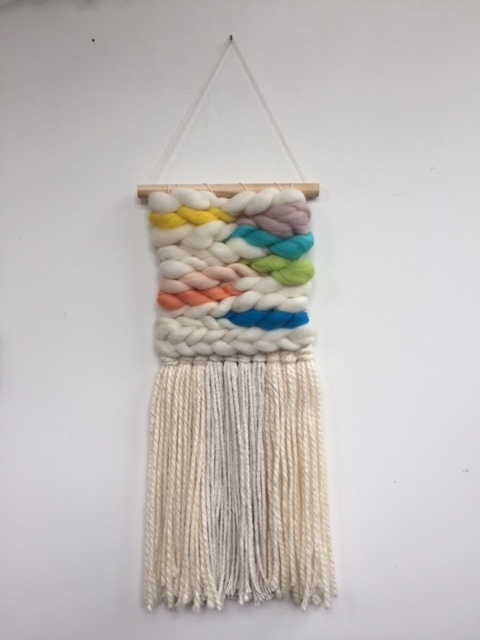 Kate Koconis of Little Black Sheep Studio is coming back to Quirk to teach a Weaving Workshop Series! This series will feature introductory and advanced classes, so all levels of experience are welcome! In the Introduction to Weaving class you will learn the basic weaving techniques Kate uses when creating her one of a kind blankets, pillows, hanging planters and weavings. 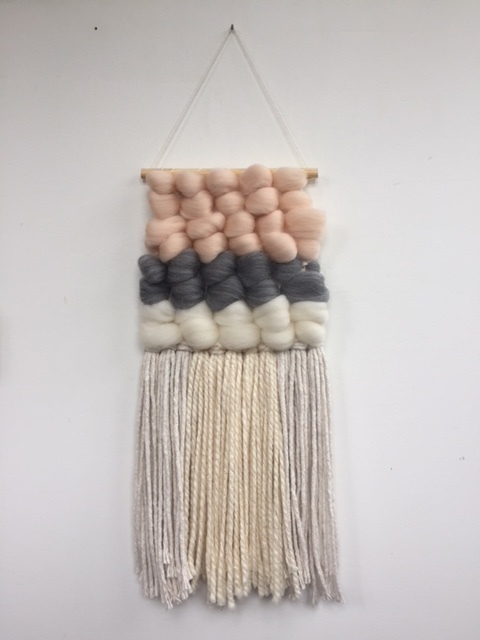 In the Advanced Weaving Workshop we’ll be making weavings like big puffy clouds. Kate will show you a couple of her favorite techniques using mostly wool roving, to create irresistibly soft fluffy wall hangings. All materials will be provided for you, and you’ll get to leave with a wall hanging all your own. Some prior weaving experience is required. Participation in my beginners workshop is preferred, but not necessary. Spots for the workshops are only secured through payment either in store or over the phone with a Quirk Gallery employee! In this workshop all levels of experience are welcome to learnt the basics of how Kate creates her weavings! She will go over start to finish of the weaving process on a frame loom while you get to create a weaving all your own. This workshop is perfect for someone interested in trying a new skill. Come weave with us! In this workshop we’ll be making weavings like big puffy clouds. Kate will show you a couple of her favorite techniques using mostly wool roving, to create irresistibly soft fluffy wall hangings. All materials will be provided for you, and you’ll get to leave with a wall hanging all your own. Some prior weaving experience is required. Participation in my beginners workshop is preferred, but not necessary.